MaLAA is a simple web application built with MLweb and aimed at providing anyone with access to state-of-the-art machine learning tools for performing prediction tasks in a fully automated manner. 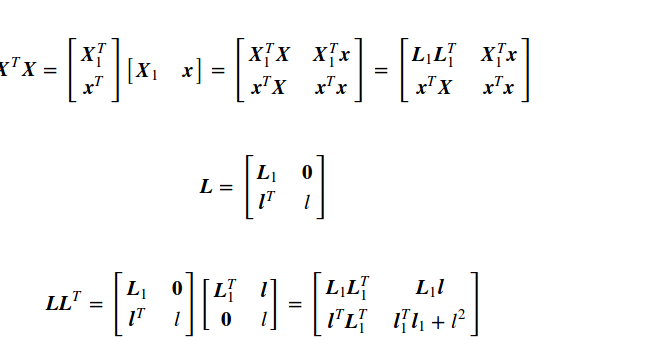 No need to be an expert of machine learning or computer science. Simply upload your data and ask for predictions. Privacy is warranted: nothing leaves your computer. 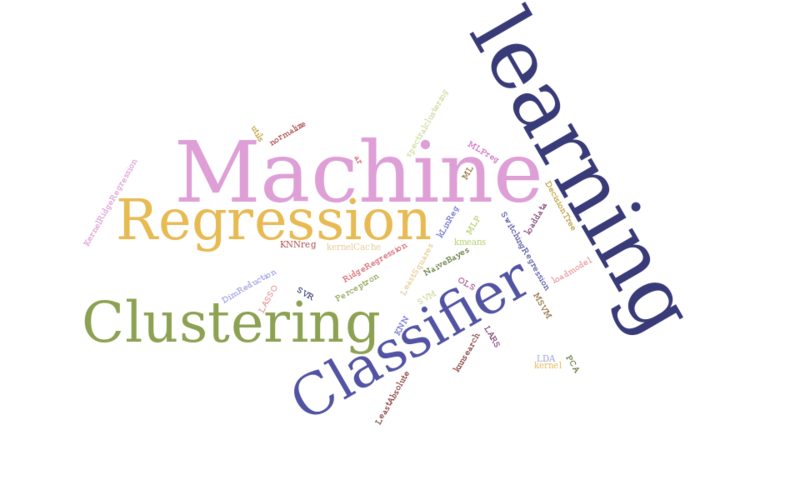 ML.js extends LALOLib with easy-to-use functions implementing the state of the art in machine learning for classification, regression and clustering. 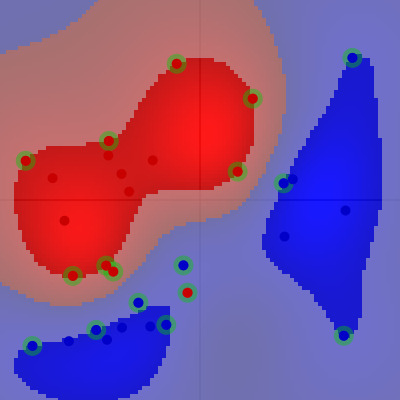 With ML.js, a web page can for instance train a support vector machine on the fly and deliver predictions in complete privacy without communicating with a distant server. 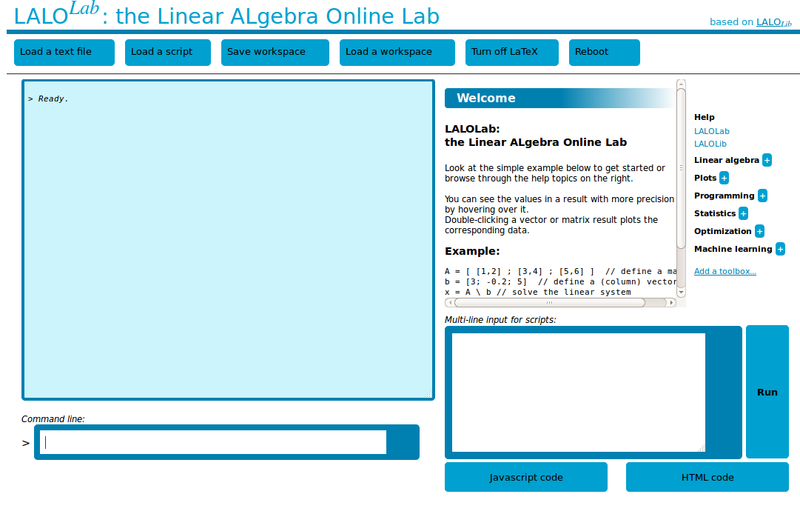 LALOLab is an online numerical computing environment is the flavor of Matlab that offers a high-level language to ease the development of scientific and machine learning web applications based on LALOLib and ML.js. LALOLab comes with an online help of LALOLib and ML.js functions including many examples and can easily be extended with more toolboxes. MLweb is still under development and is provided without warranty. Download the ready-to-use library and start using MLweb in your web pages. See the documentation for alternative downloads. MLweb is an open-source project, which can be downloaded, shared and modified, according to the GPL. See also MLweb on MLOSS.org and GitHub for the latest updates. Learn more about machine learning and the scientific foundations of MLweb in the webbook An interactive journey into machine learning. LALOLib and MLweb were designed to maximize efficiency. Yet, machine learning computations can take a lot of time. In such cases, responsiveness can be maintained by using the libraries in asynchronous mode, as explained here. With MLweb, all computations are performed on the client side: the data never travels across the internet and never gets stored on a server. MLweb can be easily extended with new machine learning functions or other toolboxes. Learn how to do this here. MLweb is an open-source project conducted by F. Lauer at the LORIA, and funded by the University of Lorraine, France. F. Lauer. 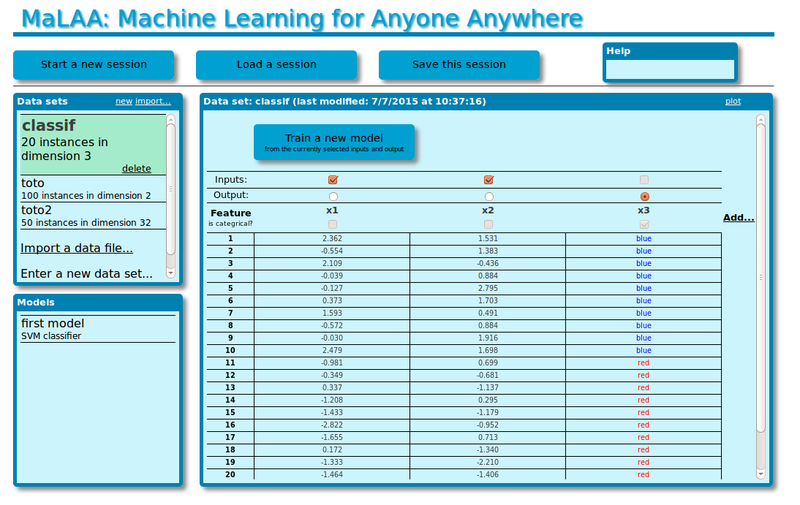 MLweb: a toolkit for machine learning on the web. Neurocomputing, 282:74-77, 2018. © MLweb. All rights reserved.